Fidel Castro Net Worth – How Much Money Did The Cuban Dictator Really Have? "Soon I will turn 90 years old, never would such a thing have occurred to me and it's not the outcome of any effort; it was fate's whim. Soon I will be like everyone else. To all of us comes our turn." In other words, Fidel knew he would die soon. Those comments are mildly ironic when you consider the fact that if an average Cuban person made the exact same statement about the dictator, he or she would almost certainly be arrested immediately. Another topic that is extremely taboo for Cuba's citizens, one that becomes especially relevant as he nears the end of his life, is the personal fortune and net worth of Fidel and the Castro family at large. For example, Fidel would not be happy if one of his citizens pointed out that in 1997 Forbes pegged his net worth at $150 million. Fidel would also not be happy to know that in 2003, Forbes pegged his personal fortune at $1 billion. Fidel is so unhappy about these estimates the he actually threatened to sue the magazine after their 2005 edition came out. When we here at Celebrity Net Worth first started tracking the Castro family back in 2010, we estimated that Fidel controlled a $500 million fortune. Today we estimate his net worth to be $900 million. 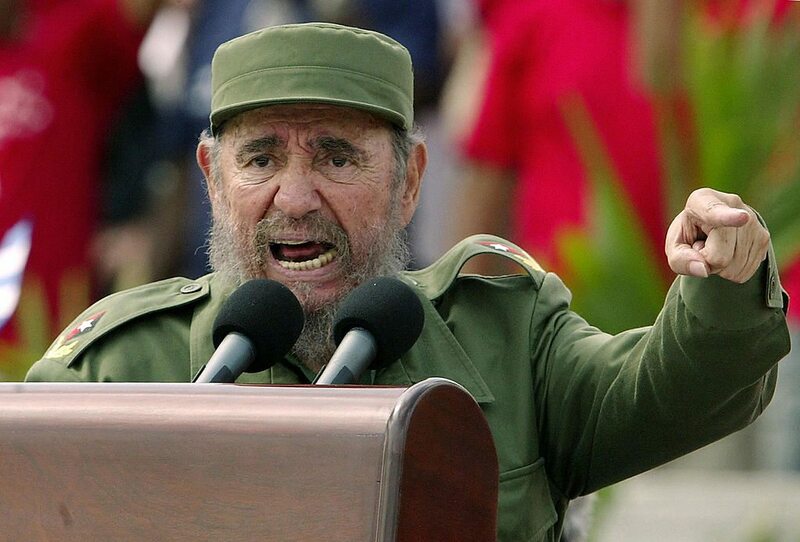 We also estimate that Fidel's brother Raul Castro is worth $100 million. "If they can prove that I have a bank account abroad, with $900 million, with $1 million, $500,000, $100,000 or $1 in it, I will resign." "If they prove that I have a single dollar, I'll resign my post… there will be no need for plans or transitions…"
"It is so ridiculous to say I have a fortune of $900 million, a fortune with no heirs." Does Fidel protest too much? Obviously it is extremely difficult to know exactly how much the dictator has managed to stash away during the decades he has controlled Cuba. However, in recent years a handful of prominent Cuban business people and exiles have come forward to claim that Castro controls perhaps more than a dozen commercial enterprises that have a collective value of at least $500 million based on comparable corporations abroad. That number does not take into account the estimated "several hundred million dollars" that Castro allegedly keeps stashed in secret bank accounts all over the world, primarily in Switzerland. It also does not include the value of his Cuban real estate portfolio that will surely increase in value dramatically as the United States eases travel and investment restrictions on the island. When taking these assets into account, it's theoretically possible that Fidel Castro is personally worth several billion dollars. Obviously, he would disagree. So how much was Fidel worth? Hopefully time will shed some light on these questions. And when it does, we'll report back!